Hello over the weekend on 20/01/2018 I met with 2 of your team for a palliative patient in Hazlerigg all of the team members I have met gave a high standard of care to the patient and her family. A member of the team I met on both the Saturday and Sunday he really stood out to me. I am a newly qualified nurse within the community providing palliative care the carer was such a help and support to myself on both days as the patients health has deteriorated rapidly, He was very kind and sensitive to the situation and he maintained the patients dignity throughout. He clearly has a good relationship with the patient and her family, Just wanted to drop and email to say Thank you. As some times people as quick to mention all the negatives and over look the positives. Following a joint session with Everlasting Care today I just wanted to advise you that what a brilliant service they gave today to the client. 2x carers Faye & Emma, where extremely patient, considerate, caring and demonstrated a lovely manor with the patient. They displayed a very professional caring imagine, I don't believe this is an agency I have came across before but certainly one I will recommend for the future. Dear friends at Everlasting Care, Thank you so much for all your friendship, kindness, patients, resourcefulness, humour and tender loving care. How would we have managed without you? Yu have been our constant friends and companions Mum loved everyone of you. Keep topping up the biscuit tin & think of Kay. To all at Everlasting Care, Thank you so very much for looking after mam for the time you did. 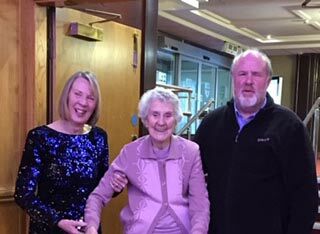 We are very grateful for the way you looked after mam so well, the fact that she continued to smile meant a lot and that she was happy with everyone who came. Just want to let you know that the carers who assisted GR at lunch time where outstanding. There calm kind reassurances and professional manor where highly commendable and ensure that the transfer worked effectively, Please pass on my Thanks to them. Mrs Spedding's family wished for me to feedback to yourselves how well carers are supporting their mother and that she loves them coming. They also wished me to feedback about the carers in particular Mark, Rachael and Emma, Who they advised are particularly good with their mother and would like to thank them. Dear all, I just wanted to put into writing how pleased we are with the service you are providing for my mother. It has been such a worry as myself and brother live so far away. Your wonderful girls/ladies seem to go above and beyond their care and duties to make sure all mums needs are attended to and any concerns are quickly dealt with. I understand that when we are under pressure with financial and time constraints that caring is often squeezed but I have witnessed great care and concern from your staff. Dear Emma, Thank you so much for looking after dad and Alice for meit has been a very difficult time especially as myself and Victoria are so far away. To put our trust in strangers to assist in hygiene, dressiness, meals etc. is massive. But you, your sister and colleagues have been amazing. Dad and Alice felt like they had been hit by a bus when you all started coming in but dad grew to look forward to your visit " A breath of fresh air". Thank you for listening to me on the telephone and thank you Faye for looking for Alice when she went walking. There is a lot of bad press about care in the community but I have nothing but praise for you. Thank you. Many thanks for looking after Tom for me your work is really appreciated. Many thanks for helping sort things out last week and for being so supportive. Thank you very much for coming to see us at home to discuss care options. We appreciate your time and effort we may look to contact you in the future your caring concern meant a great deal, very good wishes. I often think of you and the kindness, friendship and care you gave to Brian and me. I could not have managed without you - I will always bee grateful. I hope you are all well and happy and I send my love and best wishes to you all God Bless. It is so difficult to express in words the appreciation we have as a family for all the care your people gave our mother Mary at her home. Your carers were so kind and made her difficult life so much more tolerable. Their companionship and friendship were tremendous and will not be forgotten by us as a family. Once again many thanks and we wish all the best in the future.